Ask fellow campers about "Sunrise Resorts-Copalis Beach Park" and nearby attractions. It’s a decent enough park, but calling it a resort would be a stretch in my view. What it has above all is location. A short walk and you’re on the beach. There’s a small grocery store within a block walk. 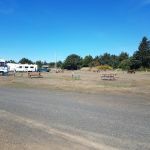 We camped at Sunrise Resorts-Copalis Beach Park in a Motorhome. For me, this resort is all about location. It's located against the dunes, bordering the beach. There is a well-defined path leading from the corner of the resort to the beach. It is about 1000 feet to the beach. The beach is very wide, especially at low tide. Most days you may be the only ones on the beach. We were here in August, and most days were cloudy and misty in the morning and evenings. This is not a beach for getting a tan. The temperatures were consistently in the Mid 60's during the day and the high 50's overnight. The water temp was 60. The resort itself is plain. The sites are gravel and level. None of the sites have trees or shrubs. However, many sites can see over top of the dunes to the ocean, when you are in your RV. Power, water, and sewer are all good. There is a small grassy playground area, which was very popular with children on the weekends. Most nights deer would wander around the resort. They became so common that after a while we stopped pointing them out. There is a nice little grocery store across the road. It's great for a gallon on milk, superb vegetables, and snacks. Less than a block down the road is the Green Lantern Bar and Grill, serving good food. A short 10-minute drive takes you into Ocean Shores with lots of restaurants, a grocery store, and nice shops. 30 minutes away is Aberdeen and a Walmart. We camped at Sunrise Resorts-Copalis Beach Park in a Fifth Wheel. We have stayed at this park a couple of times now. It is part of our Sunrise Resorts membership. We had a nice wide site with great 50 amp electric and strong water pressure. The check in people are very nice and efficient. We did not use our awning due to winds but that is expected at the beach. During the week it wasn't too crowded but come Thursday they really flooded in but the campers were all quiet as soon as 10pm rolled around. Nice walk to the beach, but like most of the west coast of Washington, it's nothing to brag about! Just a beach, no (hay)stacks to make it interesting! The park has a laundry room, 3 washers and 3 dryers. $1.75 to wash and $1.75 for 60 minutes for the dryer! The laundry is in a rec building but not much goes on. There is a puzzle to work on and the TV is always on. There is also a pool table but no balls! Perhaps you have to check them out from the attendant. The problem with this rec building is the mold smell. It was pretty overwhelming. The roof is in bad shape so they probably have lots of leaking in the rainy months. There is another large building that is in even worse shape. They used to have dances and breakfast there but it is locked up and the wood shake roof is rotting away. I don't know why the owner of Sunrise Resorts doesn't take care of her properties! I doubt that she puts any money in this property unless it's an emergency. Piss pour management/ownership skills. I guess new cars and nice houses to live in are more important! We camped at Sunrise Resorts-Copalis Beach Park in a Fifth Wheel. Our rate was RPI incl. "resort fee", a great value. This park is basically a "5" in a "10" location typical of many beach parks so I rated a "7". Staff were friendly and accommodating and all services functioned as expected even the Tengo Internet. Most sites would be easy to level and some would be a bit tight if the park were full, all satellite friendly . Bathrooms were as good as one could expect in a very sandy marine environment. The main reason for staying at this park is the short walk through dunes to the beach, maybe 100+ yards. Our Std. Poodle loved the dunes and beach where she could run an play off leash. While this place is nothing fancy, we would return. We camped at Sunrise Resorts-Copalis Beach Park in a Travel Trailer. Easy in and out, internal roads dirt, sites are dirt. Levelness varies from site to site with many requiring a fair amount of leveling. Electric and sewer were fine but water pressure was very low (20-25 psi). Did not use the pay Wifi and Verizon data speed varied. There are a lot of long sites and width varied. About a 10 minute walk to the beach via the road. We camped at Sunrise Resorts-Copalis Beach Park in a Fifth Wheel. We called for reservations about 2 mo. in advance. We asked for a specific site. We were told if it was available when we came we could get it, but it couldn't be reserved. We arrived. The spot was not occupied but we were given another site even when we asked for the one we had requested. We were told it was not available. It was vacant for two days after we arrived before anyone was put in it. If they can't reserve it then why couldn't we have got it?? The park is not maintained like it previoiusly was. Apparently there were new managers about October of 2017. Now there is a cancellation fee also, if you cancel. We are Sunrise members. I would assume since we requested a certain spot, and told if it was available when we arrived that we could have it because they won't reserve anything in advance, that we could have had it. I believe the new managers need a bit more training. There is not the friendliness that the park had with the managers that had been here for about 16 years. 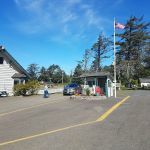 We camped at Sunrise Resorts-Copalis Beach Park in a Fifth Wheel. There are new owners at this location. We went with another couple and spent time outside talking and watching football. Owner drove around the park and was watching us for hours. He was creepy to say the least. We will never go back to that place. We camped at Sunrise Resorts-Copalis Beach Park in a Travel Trailer. We were booked to stay two nights and ended up bailing out and losing 1 day's fees, including the extra $15 charged to add a tent to our RV spot. Customer service was poor. The weather was overcast and gloomy, not what we had in mind for a mid-August beach vacation. The campground itself was somewhat of a desert, with dirt ground, few if any trees, and cramped, with RVs stacked side by side with little space in between. I'd never go back. We camped at Sunrise Resorts-Copalis Beach Park in a Travel Trailer. You can walk to the nearby beach. Beware the weather in this area is prone to completely dark cloud cover, rain, and misery smack in the middle of Summer when just 20 miles away inland, the sun is shining. We arrived after sunset. We were assigned a spot between two people who were camping together. The people in the adjacent sites came out telling us that our spot wasn't a camp site but it clearly was. I called the campground number but they let it go to voice mail. I found the manager in their motorhome. They were reluctant to answer the door and were very short and unhelpful about the harrassment from our neighbor. I got the manager to concede that I could find another site for the night. There were a lot of open sites so they shouldn't have crammed us in a tight group. I moved to an open site that didn't have anyone next to us. The next morning the manager said that we could stay that night in the same spot because nobody would be there to use it until the following day. Why they couldn't have been more helpful is a mystery. The camp was less than 3/4 full so it would have been nice if they had been more reasonable. The shower smelled like the septic needed to be pumped. The grounds keeper was very nice and the facilities were otherwise clean. We camped at Sunrise Resorts-Copalis Beach Park in a Travel Trailer. I won't use this park again because of the experience and that the sites are very close together for the price of a state park. Large park with full hook ups, only 30 amp service, cable TV for $2 day. Gravel roads with wide level gravel pads with grass and a table. Short walk to the beach. No trees so good satellite and cell phone signal. The wi-fi is extra $1 per day thru an outside service and not good. No pool or spa. Club house with a TV, pool tables and games. Only restrooms and showers located close to the entrance of the park. Staff friendly and helpful. Small, clean laundry. Park well maintained. We would stay there again. Cost is for a Sunrise member $0. They accept ROD, RPI, C2C. We camped at Sunrise Resorts-Copalis Beach Park in a Fifth Wheel. This resort is not exactly "on the beach" but in reality it was close enough for us. It was a short walk and you hit sand. The sites are roomy and in a wide-open area. Clubhouse was big with several mixed-use rooms, laundry room, and couple off bathrooms,with adult area upstairs (no children under 18 allowed). It all seemed a little "tired", the upstairs furniture worn and kind of thrown together. Lots of signs announcing what was not allowed and what you should be doing or not! but no one enforcing stupid rules or making you feel unwelcome. Manager was friendly and was around a lot taking care of things. Wi-fi an issue: it wasn't advertised on the web site or campground booklet so I assumed it wasn't available. I saw on the 2nd day that it was advertised on the main sign at the front; I called to get the password but it was after 4pm so I left a message....still no return call even though we left at 11 the next day (office opened up at 9). Women's showers closed for painting but he said I could use the men's...which turned out not to be an issue. Showers were the old cement kind, were probably cleaner than they looked! We would stay again if we were in the area, sound of the surf was just what we needed We camped at Sunrise Resorts-Copalis Beach Park in a Motorhome. A nice park. Mostly pull-throughs, with many being narrow side by sides, but only doubled up if very busy. Staff friendly. No trees, so clear sky for satellite. Shortest easiest walk to beach in the area. Toilet/ showers are really needing updating. Rate is RPI. Dirt roads with grass/ dirt sites. Deer wander through the park most evenings. Will stay again. 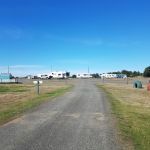 We camped at Sunrise Resorts-Copalis Beach Park in a Fifth Wheel. Great maintenance guy: friendly, knowledgeable, goes out of the way to assist. Friendly staff, although some aren't as competent as they could be. Nice camp sites, within a quarter mile of the ocean. Fairly decent Wi-Fi (TengoInternet). Rate reflects RPI Preferred membership + taxes. Our 50 amp service didn't work, but we got by fine on 30 amp. We will stay here again. We camped at Sunrise Resorts-Copalis Beach Park in a Fifth Wheel. Are you affiliated with Sunrise Resorts-Copalis Beach Park ?